The Communications and Mass Media department took to the NASA Space Center in Houston on Oct. 31 as part of the Television and the Space Age class. "It’s one thing to learn about these things through texts and the videos we watched in class, but it’s another thing to go there in person and experience it and walk the same grounds as these people we learned about walked," Sara Gonzales, senior, said. "It really just opens up your eyes." 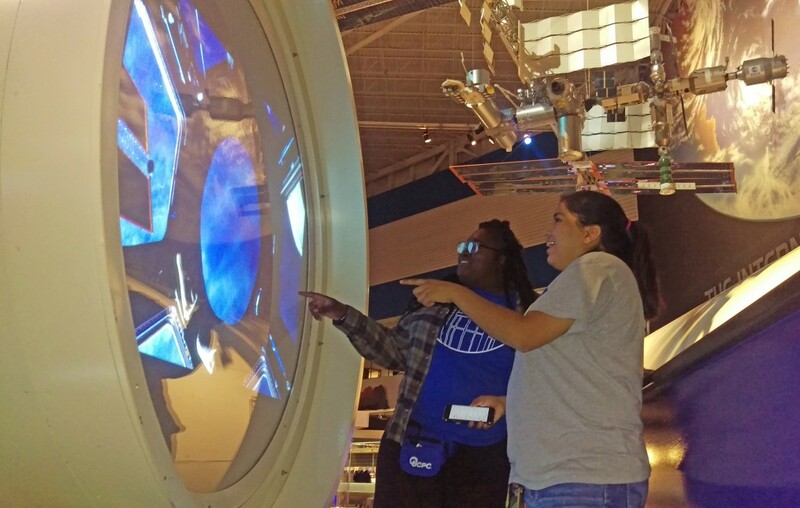 Students toured some of the center’s attractions, such as the original mission control rooms and the Saturn 5. "I learned that there is so much more to NASA than just sending people to the moon," junior Jennifer Sauceda said. Students saw what NASA does firsthand. "I saw the mission control room," senior Martha Trevino said. "It was my favorite place because it is part of our history, so it felt amazing being in there. I felt like I was there during that time frame." Students sat in an Apollo spacecraft that could fit three people and also witnessed a practice drill at the space center. "It was great to get a hands-on learning experience on what NASA offers," Trevino said. Sauceda said she went on the trip to gain knowledge of a career possibility. "I’ve followed NASA very closely and ASU was gracious enough to give me this opportunity. As an aspiring NASA TV broadcaster, this was something I really wanted to do," Sauceda said. Television and the Space Age is a special topics upper level class under in the Communications and Mass Media department.